The organization will open a social services office in the city's downtown for people in need. WATERVILLE — The Salvation Army Thrift Store at 184 College Ave. will close Sept. 26 because of rising operational costs and declining sales, according to the organization’s pastor and corps officer. Captain Scott Murray said Friday that though the store will close, the Salvation Army plans to open a new social services office soon in downtown Waterville. The religious and charitable organization has operated the store on College Avenue since 2007 but has struggled over the last three years because of declining sales revenue. The store, which is at the site of the former Marden’s Surplus & Salvage, features used clothing, furniture, dishes and other items. The Waterville Salvation Army office, formerly located at 225 Main St., where Father Jimmy’s shop is now, closed a few years ago and merged with the Augusta Salvation Army office. 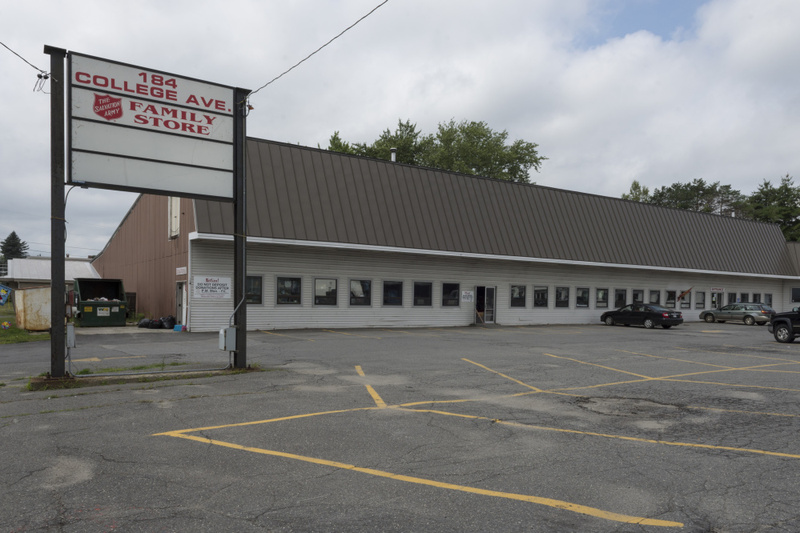 Closing the store on College Avenue, which is leased from Marden’s, will redirect money to allow the Salvation Army to open and operate the social services office. That office will be readily accessible to people in need who seek assistance, according to Murray, who said there is great need in Waterville. Murray said in a phone interview Friday afternoon that the decision to close the store and open an office in Waterville was made before he and his wife arrived to take over the Salvation Army corps five weeks ago. The thrift store’s purpose is to raise money for direct help to those in need, but it has not generated money for social services in three years, so continuing to operate the store would harm programs and services, Murray said in a news release issued Thursday. It says the Salvation Army is committed to serving people in Waterville and Winslow and is “very close to signing a lease for a permanent social services office in downtown Waterville” that will allow the organization to expand its ability to give hope to people in need by offering a more comprehensive array of services. Murray declined to disclose the location of that new office because the lease has not been signed yet, but he said it is near the city’s general assistance office in City Hall. Ami Cinq-Mars, who has managed the Waterville thrift store for nearly 10 years, said she learned Thursday that the store will close Sept. 26 and that she and two part-time workers will lose their jobs. On Friday afternoon at the store, she said she is not sure what she will do for employment, but she is keeping her options open. Cinq-Mars said she has enjoyed her work and believes in the Salvation Army’s mission, having volunteered there when her children were little. She said she understands how important it is that money is generated to help those in need. Pondering possibilities for future employment, Cinq-Mars said she has loved working with people. Murray said Cinq-Mars is a wonderful person and has been a great employee. Having to tell her the store will close and she and the others will lose their jobs was difficult, he said. “That was one of the hardest things I’ve had to do as a Salvation Army officer,” he said. The Waterville office will have regular office hours for walk-in help and appointments, a staff member fluent in Spanish, help with rent and utilities, a food pantry and vouchers for clothing and household goods that may be redeemed at other thrift stores in Waterville. Murray said Friday that the case worker from the Augusta office will be in the Waterville office initially for about two days a week, and a Salvation Army officer will spend at least a half a day a week in Waterville. “It will be open two and a half days a week, minimum,” he said, adding that after six months or a year, once the need is established, he thinks it probably will be open three or four days a week and a staff person would have to be hired. Currently, the Salvation Army’s location in Augusta serves Augusta, Sidney, Hallowell, Chelsea, Waterville and Winslow residents. The organization has helped residents in the Augusta and Waterville areas since 1888, according to the release. The Salvation Army does not have a thrift store in Augusta. Murray said the goal is to empty the Waterville store by the end of September and sales of 50, 60 and 80 percent off items will be offered. After that, a caseworker will contact agencies in Waterville to see if they need items that remain, according to Murray. The Salvation Army will retain some items such as winter coats, boots and gloves to have on hand for those who come to the office in downtown Waterville, he said.